Everyone is invited to Our Open House! We will be having it March 18th 2009, 11AM - 8PM. Here is a short video invitation to our Open House! 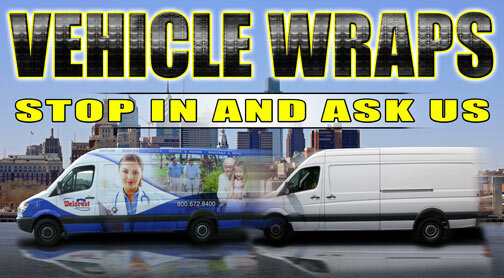 Our Wrap Training Courses are going great! 2 more Apple Graphics Certified graduates finished our courses and are ready to print, wrap and apply custom graphics on all types of vehicles and canvas. We have compiled a short Testimonial videos of what they though of our Training Course. Our Calendar is filling up quick for the training courses, so please contact us to get your course scheduled! Make it a Banner day is what my distributor representative always says, She says that because the business of big digitally printed banners is growing and growing. Banners are a very cost effective way to get your business noticed either on a building outdoors, in a mall indoors, for trade show events, and our new red carpet backdrop photo shoot banners are great for any occasion like party's and events. The traditional way of making banners with banner material and vinyl cut letters is on its way out. Now we can use digital photo images at a large scale and be much more eye catching. We can also make banners with perforated material so the wind goes through so if you need it in an open area no worries about it flying away or falling over. All banners get a hem sewn on the edges for long durable use. 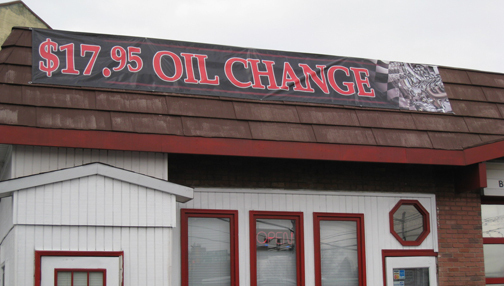 Most banners have a 6 month to a year outdoor durability. Also break away banners are a big thing for sports teams and are reusable with the velcro strip down the middle. 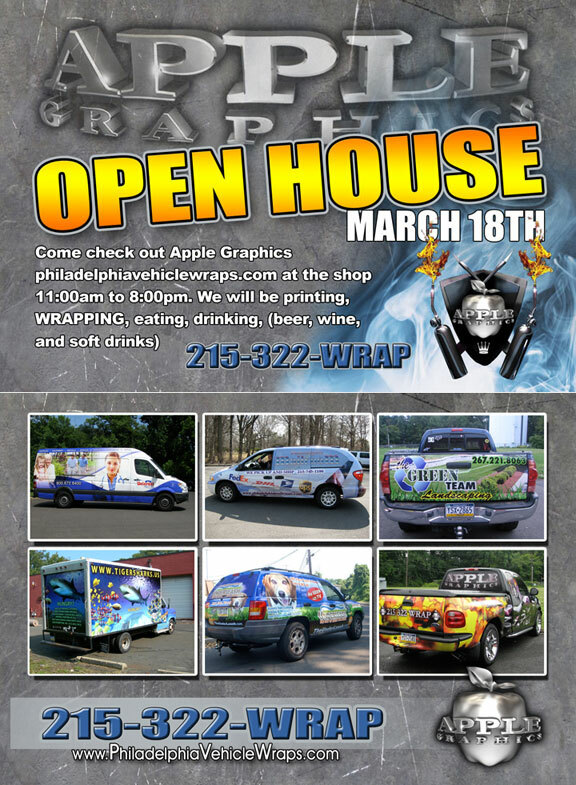 Apple graphics is always thinking vehicle wraps, but signs and banners are a huge part of what makes our business run so if you have a need for these items please feel free to call 215-322-WRAP(9727). The turn around time on signs and banners is quick. For example Diamond Depot at the Franklin Mills Mall opened a new store in Delaware and needed Grand opening signs and banners but ordered them last minute. We got them everything they needed over night in time for there grand opening event. As always Thanks for checkin in. 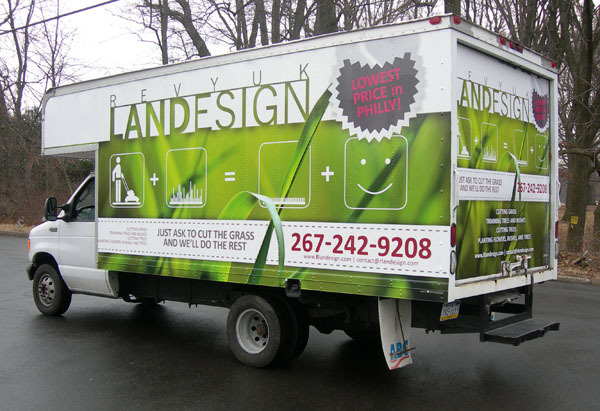 PhiladelphiaVehicleWraps.com specializing in Vehicle Wraps, Signs, and Banners. We had the pleasure of sponsoring a local nightlife event. 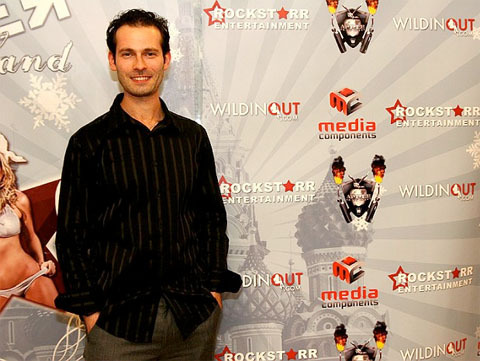 For this event we printed a custom backdrop that was used to take red carpet photos of the guests. We printed a 8'x10' banner with a custom design and logos of the sponsors of the event. The idea was a hit and everyone couldn't wait to get photos in front of it. If you or someone you know is looking for something like this, please let us know!